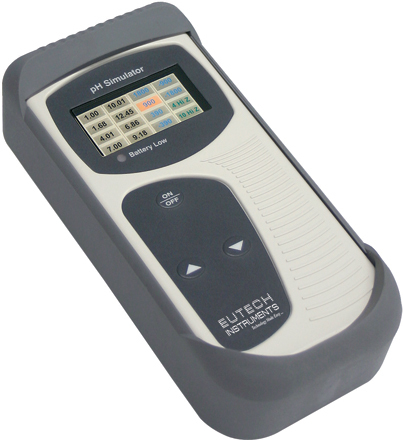 The Eutech pH-millivolt simulator is a handy, easy-to-use service tool for testing the accuracy of your pH meter. Used for trouble-shooting and fault diagnosis of meters, the simulator works with most pH/redox instruments with BNC connectors. Simulator comes with a BNC cable and a sturdy rubber boot which doubles up as a stand.